The Department of Applied Engineering, Safety & Technology (AEST) is the home of Technology & Engineering Education, Applied Engineering & Technology Managment, Occupational Safety & Environmental Health, Automation & Intelligent Robotics Engineering Technology, and the Manufacturing Engineering Technology programs. There are programs available for all levels of interest from 2-year associates degrees to 4-year bachelor's degrees, teacher training and certification, through graduate studies - all specifically designed to meet your learning needs. The Millersville University Integrative STEM Education Methods (ISEM) Program Faculty and Research Team received the 2019 Gerhard Salinger Award for Enhancing STEM Education through Technological/Engineering Design-Based Instruction. The ISEM program faculty and research team includes Sharon Brusic (AEST), Nanette Dietrich (EDFN), Jason Petula (EMEE), Jennifer Shettel (EMEE), Scott Warner (AEST), Janet White (MATH), and Charlton Wolfgang (EMEE). This award is presented annually to an individual or team of collaborators whose work has exemplified, promoted, investigated, and/or enhanced teaching and learning in Science, Technology, Engineering, and Mathematics (STEM) through the effective application of technological / engineering design activity. The award was created in honor of Dr. Gerhard Salinger, program officer at the National Science Foundation from 1989 to 2014, whose work to promote the use of engineering design activity and whose advocacy for technology and engineering education has widely influenced STEM education. Sharon and Scott accepted the award on behalf of the entire team. Read more about in on Millersville News by clicking here. 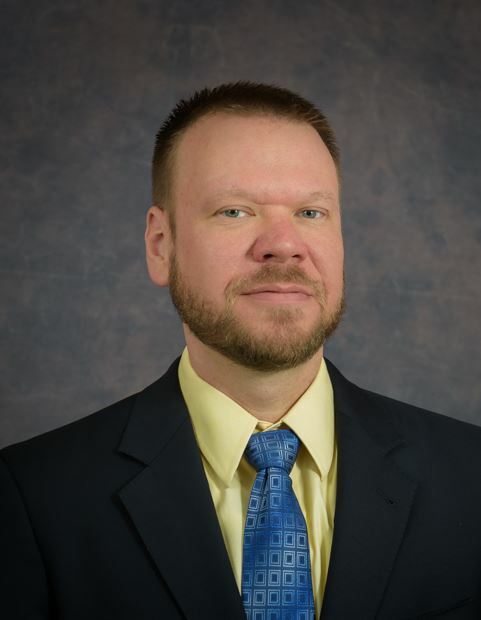 2018 Distinguished Alumunus - David Hoffa '01 Ph.D.
Dr. David Hoffa graduated from Millersville University’s Industrial Technology program in 2001 and went on to earn both his master’s and doctoral degrees. Following his graduate work, Hoffa made many significant contributions in both industry and academia. He developed a “people first” management style and became focused on continual improvement of himself and others. Hoffa applied his advanced training in teaching, statistics, and manufacturing technologies to his career path, advancing him from technical roles in Quality and research & development to a Regional Master Black Belt at Cameron International Corporation in 2012. His focus on development allowed David to not only excel in corporate management, but also become a conduit of growth for the people with whom he has worked. Investing in others is his deepest passion. In his current role as a Process Engineering Manager at Johnson & Johnson, Hoffa leans on his education in process improvement, quality, and operations management every day. To date, he has helped companies save more than $31 million using Lean and Six Sigma, and has supported the careers of dozens of his coworkers by helping them to close improvement projects, earn certifications, and secure promotions. In addition to the many awards, honors, published works, grants, and certifications that he has amassed since his graduation from Millersville, Hoffa was recognized in 2017 with the Association of Technology, Management, and Applied Engineering’s second highest service distinction, the Dr. Alvin Rudisill Exemplary Service Award. Hoffa was the 26th recipient in the 52-year old professional association. Check out this video that Andy Miller created as part of this Honors Project. Read more about it in the Abbozzare! The AEST department is embarking on an external fundraising campaign for equipment and facilities in order to maintain the health and vitality of the department, to provide space for growth, and to help keep tuition affordable for all students. Plans are to construct annex space that would allow us to teach Construction courses on campus and to provide for additional project and research space for the department. The university will match the first $50,000 raised dollar for dollar, and planning for the new facility can begin once we reach the $100,000 mark. So, be a Stud (or a Studess) or maybe even more! While contributions are welcome at any level, some unique funding levels have been established. For more information on the AEST Capital Campaign, Please contact Dr. Len Litowitz, Department Chair. ﻿Jana says, “It is never a dull moment with middle school students and it is a joy to see the excitement they get from discovering the world of technology and engineering.” Jana teaches 6th-8th grade Technology & Engineering at Emory H. Markle Intermediate in the South Western School District. Her curriculum covers a broad range of topics including materials processing, energy conservation, robotics, engineering design, manufacturing, and digital media. 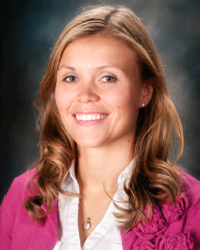 Jana stays active by serving as a Technology Student Association (TSA) advisor and her school won the Program of Excellence award in 2011-2012. 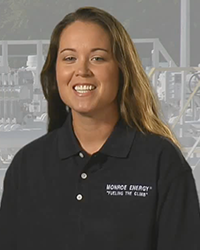 Ms. Teresa Breslin (MU Class of 2008, Occupational Safety & Environmental Health) talks about her current career as a Field Safety Engineer with Monroe Energy. Click here to see how Teresa's degree in Occupational Safety & Environmental Health is helping in her role and learn more about her plans for the future. 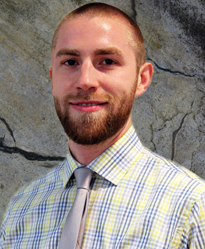 Mr. John Haughery graduated from The Department of Applied Engineering, Safety & Technology in 2006 with his bachelor's degree in Industrial Technology, Electronics and Control Systems Option. He's about to undertake a fellowship at Iowa State University in The Department of Agriculture and Biosystems Engineering. Read more about John's accomplishments by selecting the link below. The Occupational Safety & Environmental Health degree is ABET accredited. The Applied Engineering & Technology Management degrees are ATMAE accredited. 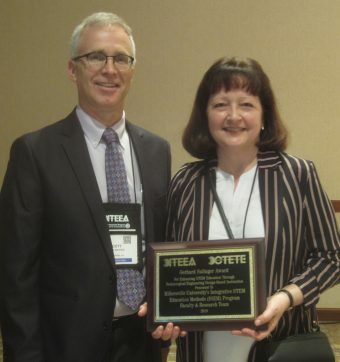 The Technology Education program is nationally recognized by ITEEA.